SpaceX will begin testing a methane-fueled rocket engine next year, according to Space News. 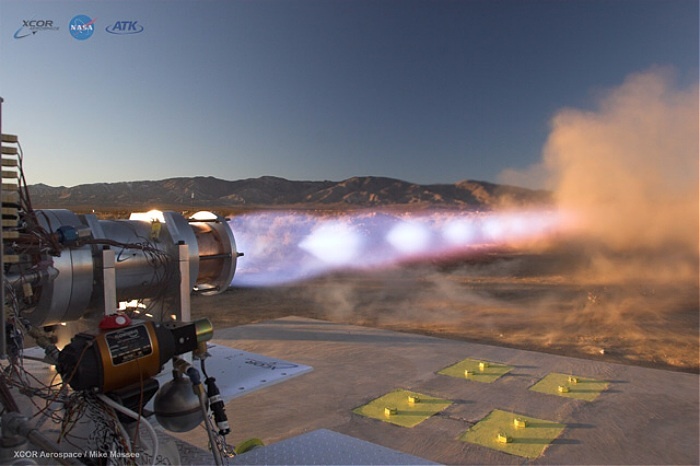 The Raptor engine is expected to be much larger than the XCOR/ATK XR-5M15 engine. According to Space News, the Raptor will produce 660,000 pounds of thrust in vacuum (about 30% larger than the Space Shuttle Main Engine). Raptor testing will be performed at NASA Stennis Space Center in Louisiana, rather than SpaceX’s usual rocket test facility in McGregor, Texas. SpaceX must negotiate a reimbursable Space Act Agreement to rent facilities first, however. If SpaceX does the same kind of setup it did with the Merlin engine in a Falcon 9 and Heavy will that mean it has a supper heavy lifter of 200 tons to LEO? Or is it mostly working off Mars in a single engine setup? Will the Rapture be a fully reusable launch setup like they want the Falcon 9 and Heavy to be? I think I have a simple solution to the two problems they are having. Relight after a period of zero G and getting it down and back to the launch pad quickly and cheaply. I with I could talk to one of their engineers.